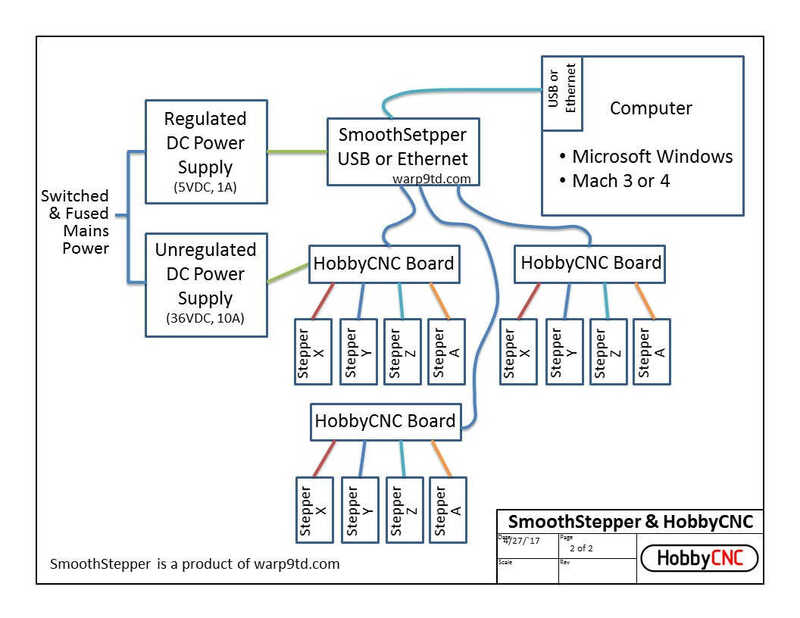 HobbyCNC Board kits are fully compatible with SmoothStepper board by Warp9 Tech Design. SmoothStepper from Warp 9 Tech Design, Inc. provides an interface between your PC’s USB or ethernet and a motor driver board. The SmoothStepper supports CAM software from Mach3 & Mach4 software. If you need either an ethernet or USB connection to your PC (rather than a parallel port) then the SmoothStepper is a valid solution. Additionally, the SmoothStepper provide plenty of programmable I/O pins for reading limit/home switches or controlling pumps or spindles. The SmoothStepper will provide outputs that are pin-for-pin compatible with the HobbyCNC boards (note there are differences between the pinouts of the HobbyCNC PRO and EZ boards). Another extra-cool feature is the ability for the SmoothStepper to drive up to three (3) HobbyCNC boards, for a maximum of 12 axis! (Fig 2). Fig 1. 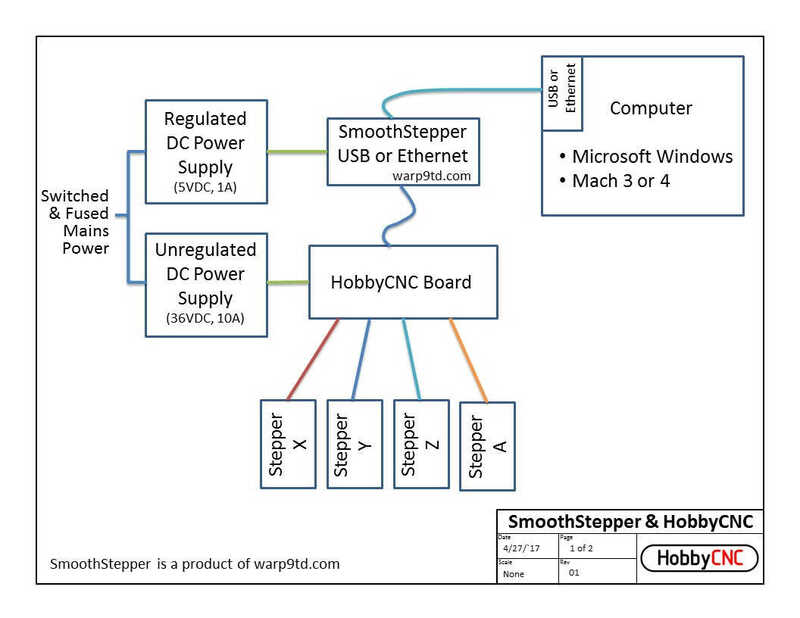 Typical SmoothStepper and HobbyCNC wiring diagram. Fig 2. Typical SmoothStepper connected to multiple (up to 3) HobbyCNC boards.